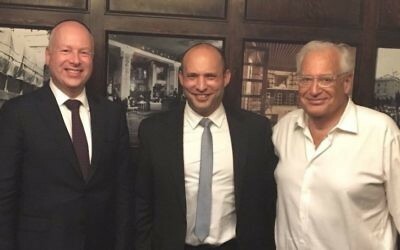 New Right chair Naftali Bennett launched a direct assault on Donald Trump Wednesday morning, accusing the US president of “planning a Palestinian state right over our heads,” and calling on him to release his closely guarded Middle East peace plan before Israel’s April elections. ‎‏”We all know the ‘deal of the century’ will be launched right after the Israeli elections, but we, the Israelis, are in the dark about the plan itself,” Bennett said in English-language comments during an address at a conference for local government in Tel Aviv. 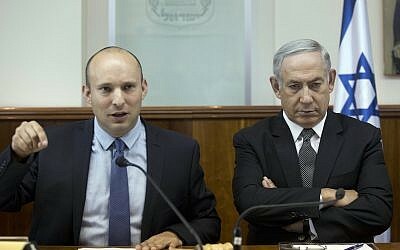 While calling Trump “a true friend to Israel,” Bennett added that “friends do not keep secrets one from another.” The comment could be seen as a thinly veiled swipe at Prime Minister Benjamin Netanyahu, who has held talks with administration officials regarding Trump’s proposal, and whose Likud party is vying for the same voters Bennett’s New Right is aiming to win. A spokesperson for the education minister said the remarks were a “direct request to President Trump” to reveal the plans immediately. The Trump administration has closely guarded details of its peace proposal, which the president’s senior adviser and son-in-law Jared Kushner said last week would be released after Israeli elections on April 9. “The goal of resolving these borders is really to eliminate the borders. If you can eliminate borders and have peace and less fear of terror, you could have freer flow of goods, freer flow of people and that would create a lot more opportunities,” Kushner told Sky News Arabic on Monday. Kushner said that since “very little has changed over the last 25 years,” the administration’s team had worked to “formulate realistic solutions for the issues of 2019, which will improve quality of life. “We want to bring peace, not fear. We want to ensure there is free flow of people and of goods. We must create new opportunities,” he said. 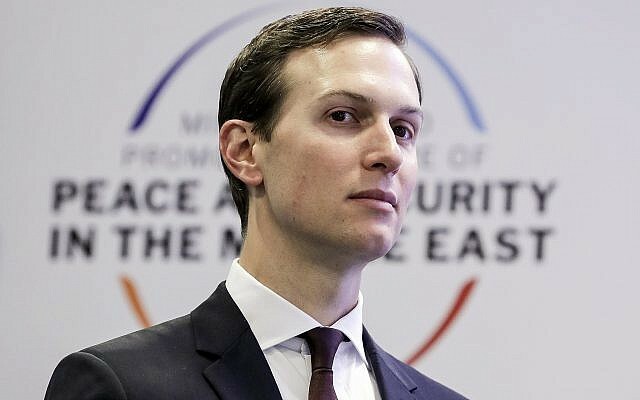 Kushner also called for unified rule over the West Bank and the Gaza Strip, areas that are currently split between the internationally recognized Palestinian Authority and the Hamas terror group, respectively. “We want to see the Palestinians united under one leadership; the Palestinians want a non-corrupt government that cares for their own interests,” he said. Kushner said that the peace plan wants to help get the Palestinians “what’s been elusive to them for a long time.” But he did not explicitly mention a Palestinian state, nor did he even vaguely endorse a two-state solution. Nonetheless, the statements set off a combative back-and-forth between New Right and Netanyahu’s Likud, with the two parties jostling to boost their right-wing credibility. “There’s a clear and present danger in front of us: the establishment of a Palestinian state,” Bennett said Monday in response to the Kushner interview. 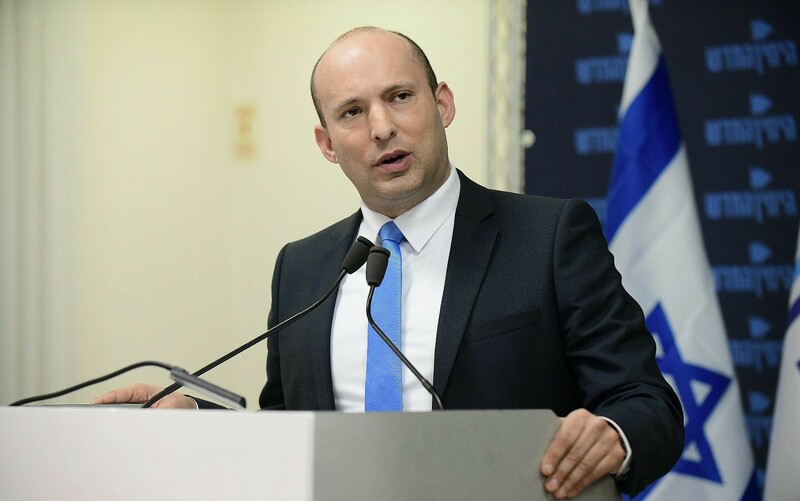 “What Kushner said proves what we already knew — the day after the elections the Americans will push the Netanyahu-Lapid-Gantz government to allow for the establishment of a Palestinian state… and for the division of Jerusalem,” Bennett said in a statement. “There’s only one way to prevent this: a strong and powerful New Right party that will boost Netanyahu but put pressure on him against Palestine,” he said. Likud further claimed that representatives of the New Right have “made contact with Lapid and Gantz to join them after the elections,” while Netanyahu “has made it unequivocally clear that he will form a right-wing government. “Prime Minister Netanyahu has safeguarded the Land of Israel and the State of Israel against Obama’s hostile government and will continue to do so in the face of Trump’s sympathetic administration,” it said.